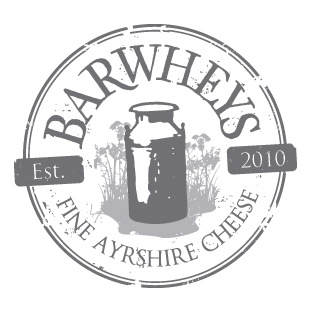 Barwheys is situated in South Ayrshire, beside Maybole, the ancient capital of Carrick. Our region has a rich dairy heritage. At one time the whole of South Ayrshire was dotted with small dairies producing distinctive handmade cheeses from local milk. Given our geography it isn't hard to see why cheese is such a local favourite. Situated just five miles from the Atlantic Ocean, our warm and wet climate results in exceptionally lush and verdant grass that is ideal for cattle. The Ayrshire dairy tradition even nurtured Scotland's most famous poet, Robert Burns, whose mother Agnes Broun was a cheese-maker from Maybole. Agnes met Burns' Father at a Maybole dance in 1756, married him in a nearby church, and even after her marriage continued to make and sell cheese. Her dairy must have left a strong impression on her son because as an adult Burns built up his own herd of Ayrshire cattle, changing his farm to dairy so that he could make his own local cheeses. Sadly during the Industrial Revolution cheesemaking in Ayrshire started to fall into decline. So much milk was needed by factory-workers in the nearby shipbuilding cities that there was hardly any surplus left for making cheese. Things were only made worse during the rationing and centralisation of the Second World War. By the 1950s there were hardly any Ayrshire cheesemakers left. 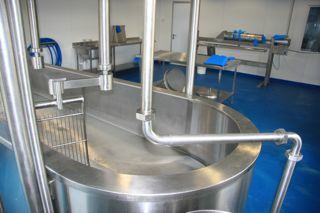 Today we are the only cheesemaking dairy in South Ayrshire. We are proud to be reinvigorating the local tradition of handmade cheese, and to be returning a few more of Ayrshire's fields to the cattle for which they are so uniquely suited.